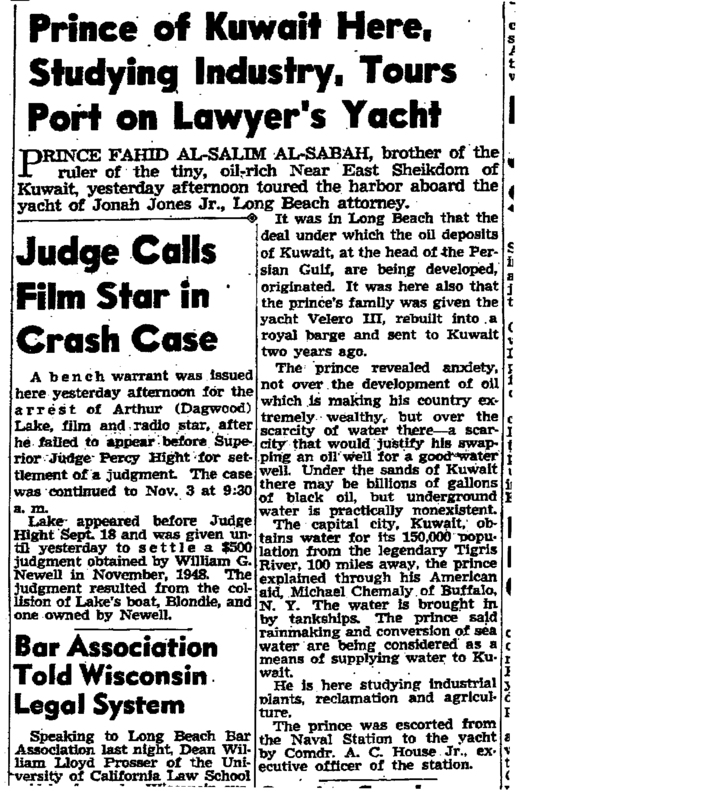 The Prince of Kuwait was an honored guest on the decks of the Ida May. He was aboard the Ida May on October 27, 1950 while on a trip to the United States to learn about the possibility of distilling sea water. 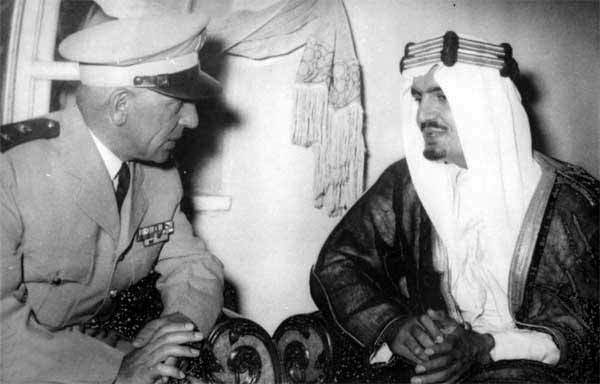 In return, he explored the possibility of helping the U.S. with its problem of diminishing oil fields. 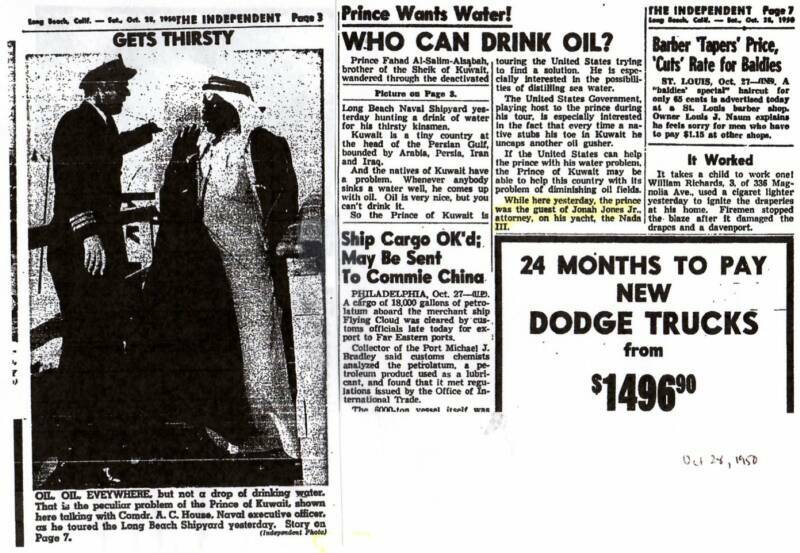 The Prince of Kuwait was a guest of Jonah Jones, Jr., the third owner of the Ida May and also owner of Signal Hill Oil Company, one of the largest oil fields in Southern California. Jonah Jones was also a prominent attorney in California and was Howard Hughes' attorney.